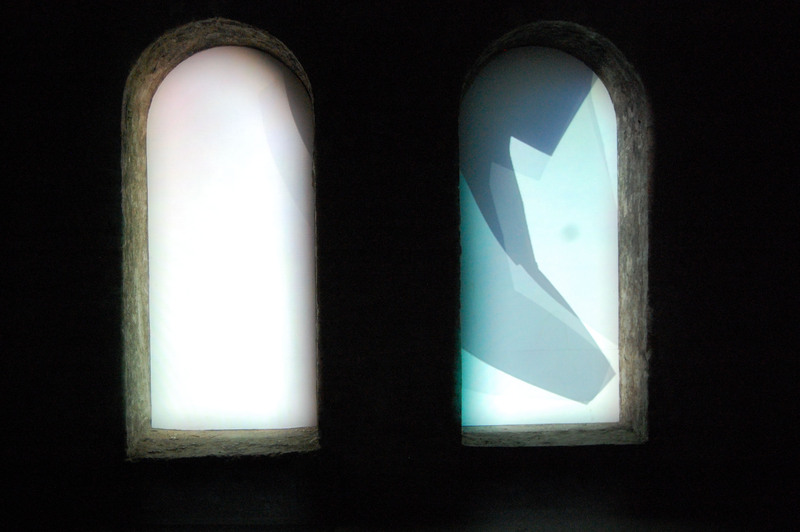 Tracy & Hobbs first collaboration was curated by Shunt Lounge, London Bridge vaults, 2009. 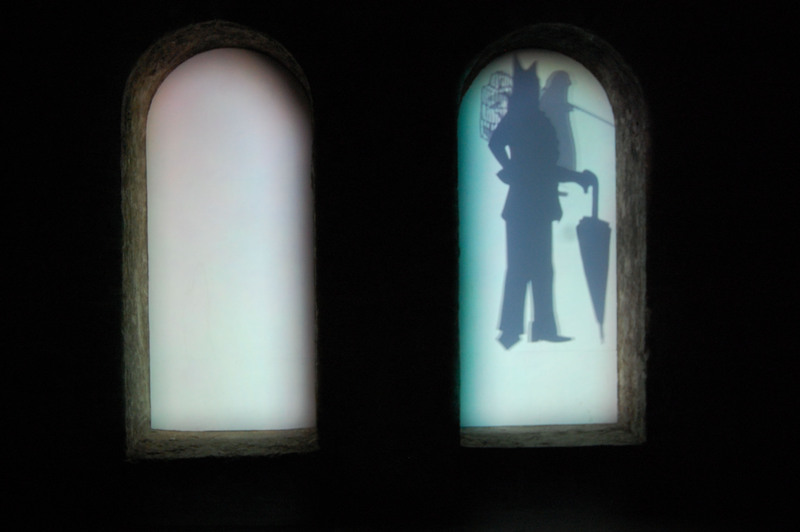 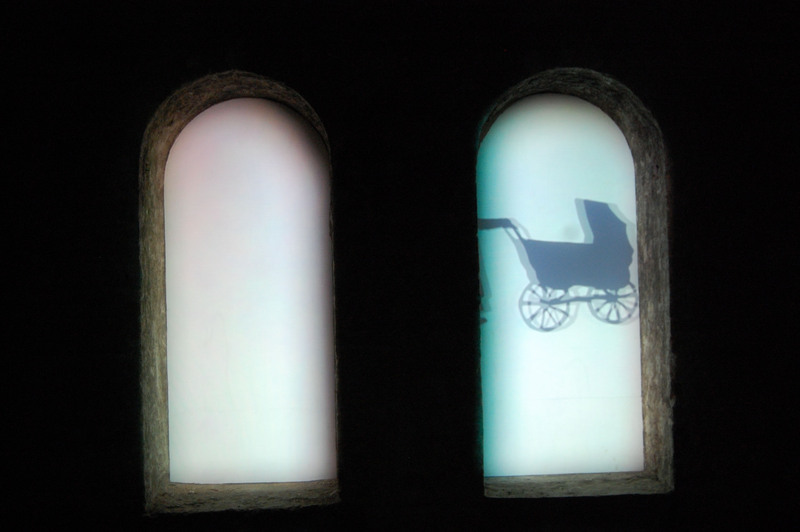 This site specific projected installation responded to the bricked up underground arches beneath the streets of London Bridge. 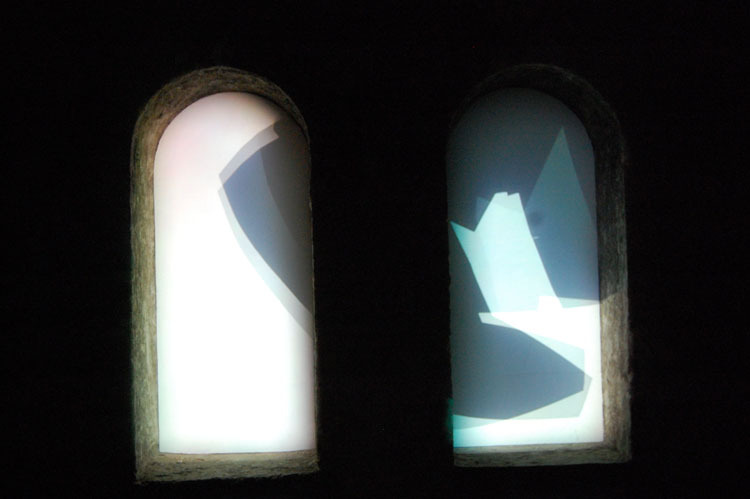 Tracy & Hobbs made s site specific animation imagining a set of characters walking through the space using paper cut outs.